Season commences Thursday 4th October. Proteus has always celebrated remarkable women; from Hattie Jacques to Edith Cavell, Bette Davis to Jane Austen, and we felt it was high time we devoted a whole season to them. Our new programme of Basingstoke Firsts shows will bring you contemporary circus in the shape of Ellie Dubois’ brilliant and empowering all-female No Show, the experience of transgender women in the poignant comedy Hayley and Me and Proteus’ own new show I’m Super, Thanks, a satirical comedy looking at the ups and downs of life married to a superhero. Often we are told that the absence of women on and behind the stage and screen is due to a shortage of female writers, directors, or comediennes – this season seeks to prove that theory is false! As the days get shorter and the nights darker, it seems appropriate that The Proteans, our adult community theatre workshop company, will reprise their immersive theatre experience Come With Me If You Want To Live; this time working with a revised narrative that stays true to the original inspiration of the high-concept horror movies of the 70s. The cast will include our eldest youth theatre groups, Basingstoke Youth Theatre and Proteus Young Company. 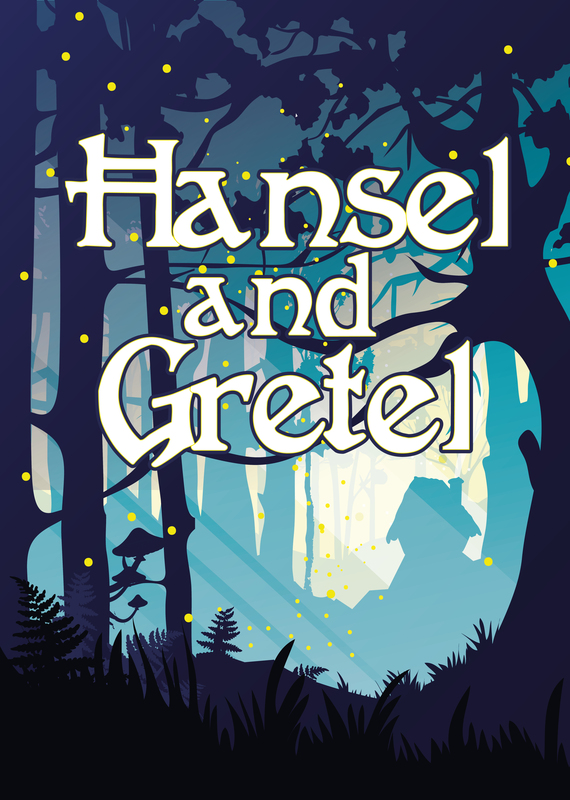 The end of November marks the start of our much-loved family work as we premiere our winter family touring show Hansel and Gretel as well as the return of our much-loved in-house Christmas show for under 5s, introducing the very youngest members of the family to the magic of theatre! Award-winning performer and performance maker Ellie Dubois took the Edinburgh Fringe by storm in 2017 and is now bringing No Show (20 Oct) to Basingstoke; putting female strength, power and skill centre stage. In this production, which reveals what lies hidden beneath the showmanship of circus, we [as the audience] are allowed the opportunity to see behind the flawless smiles and perfect execution to reveal the wobbles, pain, and the real cost of aiming for perfection. At the beginning of November, we reveal an innovative collaboration between The Proteans, Basingstoke Youth Theatre and Proteus Young Company, intriguingly titled Come With Me If You Want To Live (1&2 Nov). 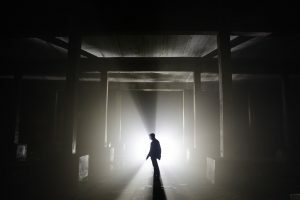 This immersive horror experience will appeal to fans of Buzzfeed’s Unsolved and the audience become part of the action as they are taken on an unnerving journey into darkness. 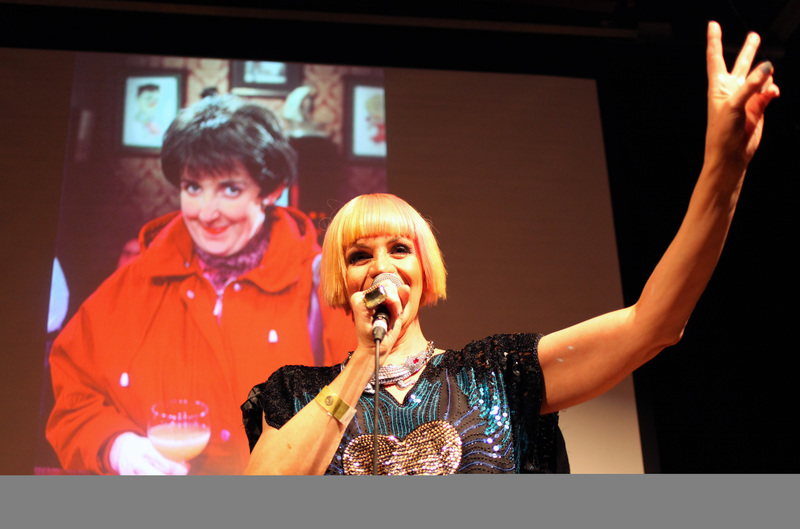 We are delighted to welcome transgender performer, activist, theatre and cabaret maker Kate O’Donnell to Basingstoke later in November with her solo show, Hayley and Me (22 Nov). 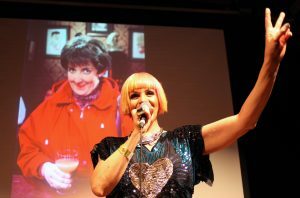 This cabaret/ performance brings the classic Coronation Street character Hayley Cropper back into the limelight, as Kate explores parallels between the character’s storylines and her own journey. This performance is programmed just five days after Transgender Awareness Week and, as such, we are thrilled that Kate will also host a post-show Q&A, offering an opportunity for audiences to further discuss the themes in the show. 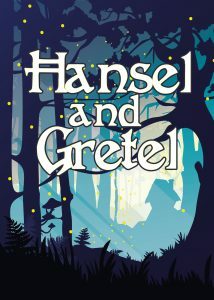 For 2018, winter family touring show Hansel and Gretel (30 Nov-14 Dec) will be a collaboration with Scratch Built Productions – featuring a highly original and enchanting set, magical puppets and toetapping folk songs, fused with Proteus’ thought-provoking storytelling, physical theatre and longstanding reputation for creating unique and beautiful family shows. In this wonderful retelling of a classic fairytale, Hansel and Gretel encounter not just the wicked witch but a spiteful sugar-plum fairy and singing gingerbread men to name but a few. A show aimed at children aged 6+ and their families, this is a journey into the deep dark woods that all the family can enjoy together. 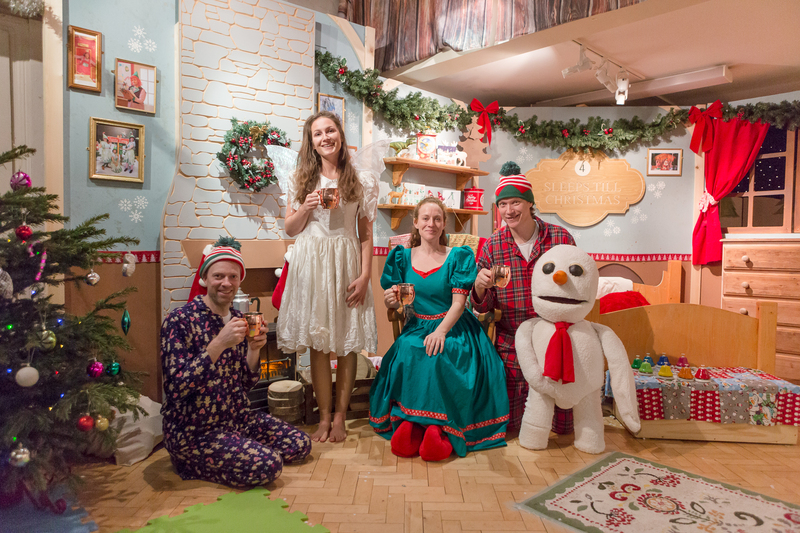 You know the festive season has truly arrived in when our annual in-house Christmas show The Magical Christmas Toy Shop (14-24 Dec) opens. Once again, Scratch Built Productions in association with Proteus bring their trademark mix of interactive storytelling, puppetry, music and sensory elements to this brand new show, transforming the Creation Space into an immersive walkthrough adventure. Offering something a little different from a traditional Christmas show or panto, children are encouraged to explore, play, create and interact with the colourful characters they meet along the way. No longer Basingstoke’s best-kept secret, the experience is as much of a Christmas tradition as mince pies and mulled wine for many a local family! Tickets are available at www.proteustheatre.com/whats-on for this season of truly unique performances which invites audiences of all ages to immerse themselves and become as much a part of the theatre experience as the artists performing! 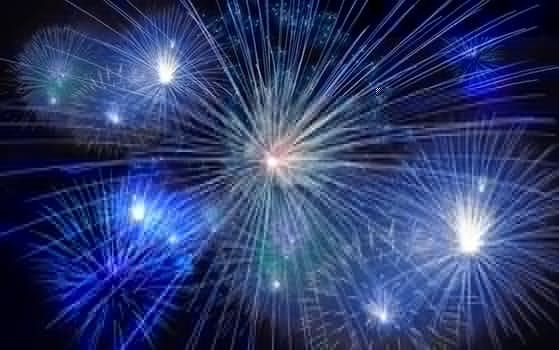 Here is a list of firework displays both locally and further afield. Check out a previous post for recommendations from NHM followers. Keep checking back for updates including the rumoured return of an old favourite! Thank you very much to Wendy for putting this post together!! St Johns School – Cranbourne. From 6pm. SOLD OUT!!!! 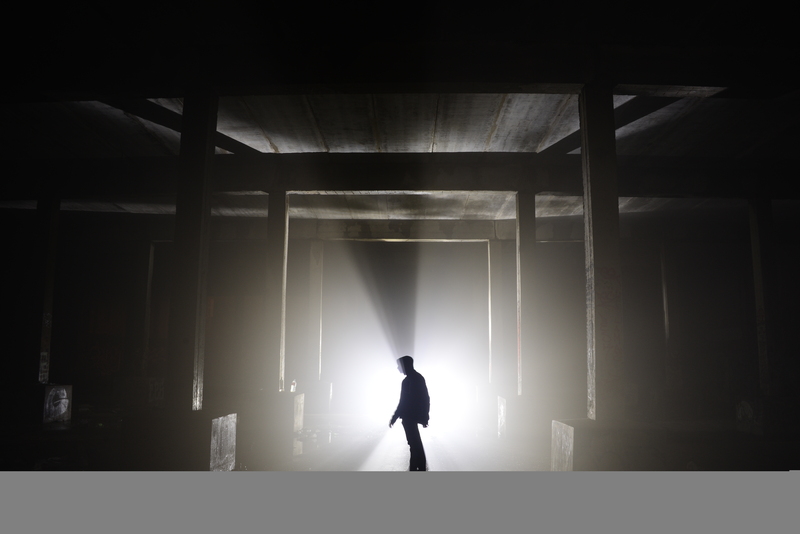 Hatch Warren – From 5.30pm Ticket on sale now, advance purchase recommended as many were turned away last year. St Thomas’ Church -Worting – From 6pm, SOLD OUT!!!! Baughurst Scouts & Guides – Adams Field, Baughurst. From 6pm. Overton School – Date confirmed, further information to follow. Kingsclere School – Fieldgate Centre, Kingsclere. Gates Open 5.30pm. Display at 6.30pm. Tickets on sale soon. Mill House – North Warnborough. 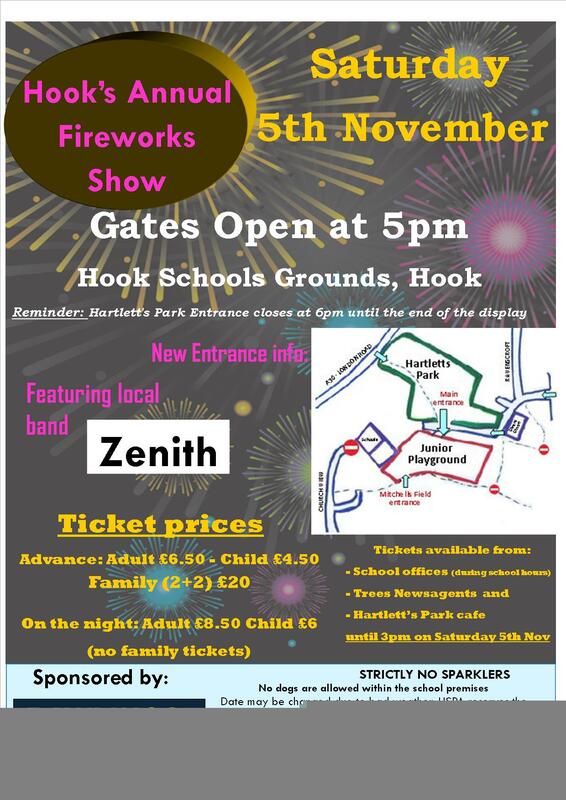 Meal & Firework display. SOLD OUT!!!!! 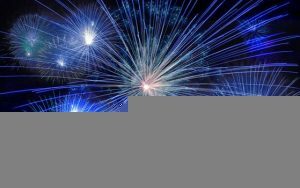 Basingstoke Memorial Park – Rumours are it’s back!!!! Details TBC. 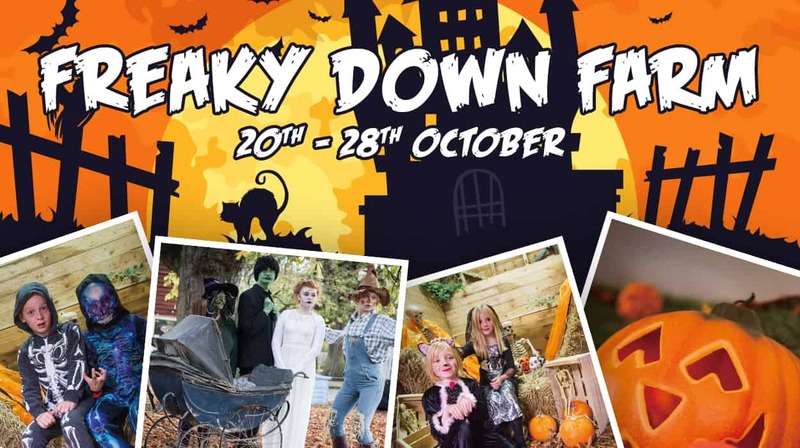 This half term Finkley down farm, turns spooky…. During the half term week, 20th – 28th October 2018, will you be brave enough to enter the SPOOKY STABLES? Be able to find all the Monsters around the farm in a monster hunt? Meet and greet our special Halloween guests SALLY THE SCARECROW & MAVIS FLOSSWORT THE WITCH. We will be holding a HALLOWEEN DISCO on the 20th, 21st, 27th and 28th October, enjoying shows from SILLY SCOTT’S HALLOWEEN SHOWS on the 22nd, 23rd, 24th and 26th October, NICKY TRIX will be here with his HALLOWEEN SHOW on the 25th October. Meet the Snakes, Little Farmers Driving School, Sheep Race, Rabbit Handling, Meerkats and more. Indoor Play, trampolines, go-carts and Farmyard Crazy Golf. Many thanks to the NHM Community for your responses, listed below in no particular order. Thank you also to Juliet for putting this post together!! 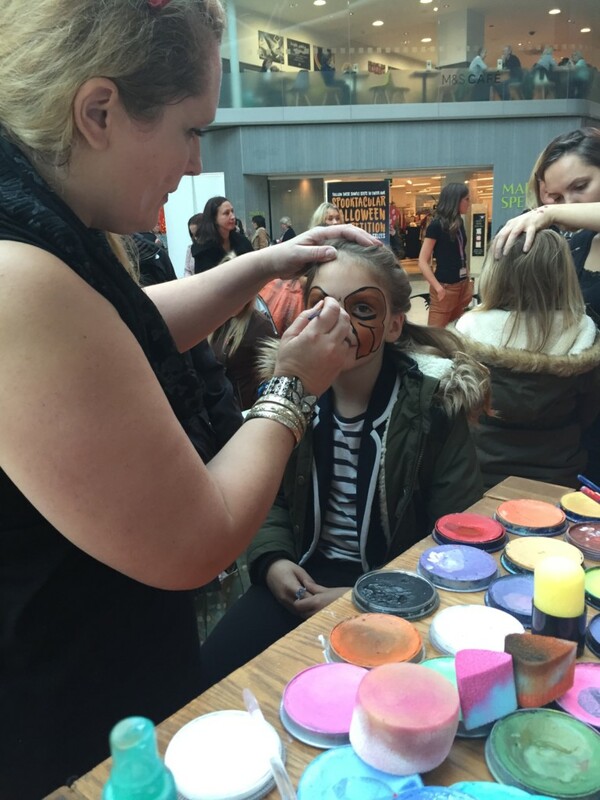 Festival Place is your place for a spooktacular Halloween this year, with a week full of family fun activities. 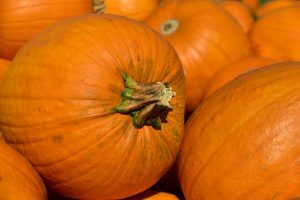 Kicking off the spooky fun on Monday 24th October, the Basingstoke Discovery Centre will be hosting a special two-hour Witches and Broomsticks workshop from 1pm. Here, little ones will have the chance to create a mini broomstick from real sticks and twigs with willow craft expert, Judith Needham. Once the brooms are ready, children will then be able to join Basingstoke Discovery Staff to create a witch or wizard to ride it! 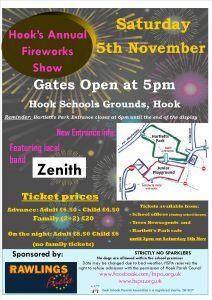 Attendance costs just £5 (Adults free) and advanced booking at www.hants.gov.uk/bsc is essential. On Tuesday 25th October, they’ve got the purrfect way to beat the half-term boredom, with a Cat Care Talk from 2pm for £2 (Adults free) at the Basingstoke Discovery Centre. Whether you already have a cat or kitten, are thinking of getting one in the future, or just a lover of cats, everyone is welcome to come along and find out all about responsible pet ownership and the welfare of cats. 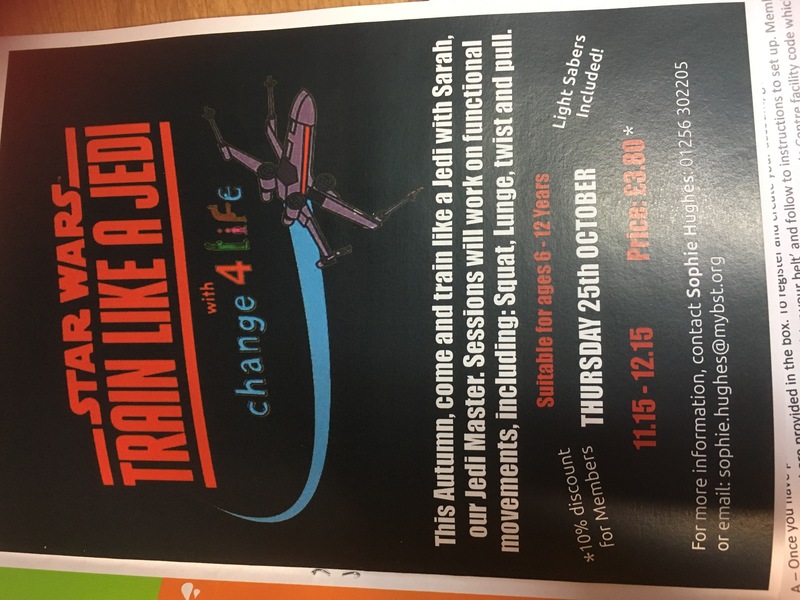 This event is recommended for children aged five plus and advanced booking is again essential. There will be crime investigation entertainment at the centre on Friday 28th October, from 11am-1pm, with their CSI Kids event. Under the guidance of CID staff, children will work their way through a series of clues using real forensic techniques to solve a Halloween Crime. 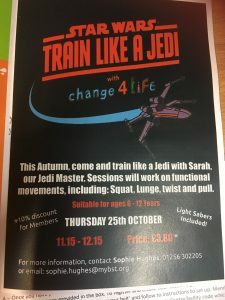 Aimed at children aged seven plus, this event is priced at £12 (Adults free) and advanced booking is required. Rounding off the week on Saturday 29th October, there will be a spooky mad scientist’s laboratory in Porchester Square from 12pm-6pm. 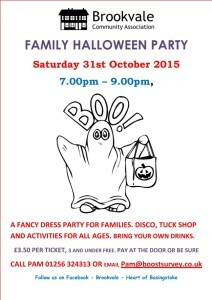 Full of creepy creative fun, the event will feature face painting and trick or treat bag decorating for all ages. Customers will also have the chance to take a funny frightening fake photo of their head in a jar. Photos shared with #spookyfp on social media will then be in the running to win a spooky prize. To keep up to date with details of Festival Place’s Halloween activities and other events at the centre visit www.festivalplace.co.uk or find them on Facebook, Twitter, Instagram and Pinterest. Don’t forget to double check your regular classes as they may not be running this week. KidsKanDance Wear What you Wish Charity event on Monday 26th October. Visit Miller’s Ark for their open days. Thank you to Becky for prompting me to get this post sorted in time!!! :-D.
Tots Play Halloween Party on Wed 28th October in Hook and Friday 30th October in Sherfield Park. The parties are suitable for babies from 8 weeks up to around 3 years. 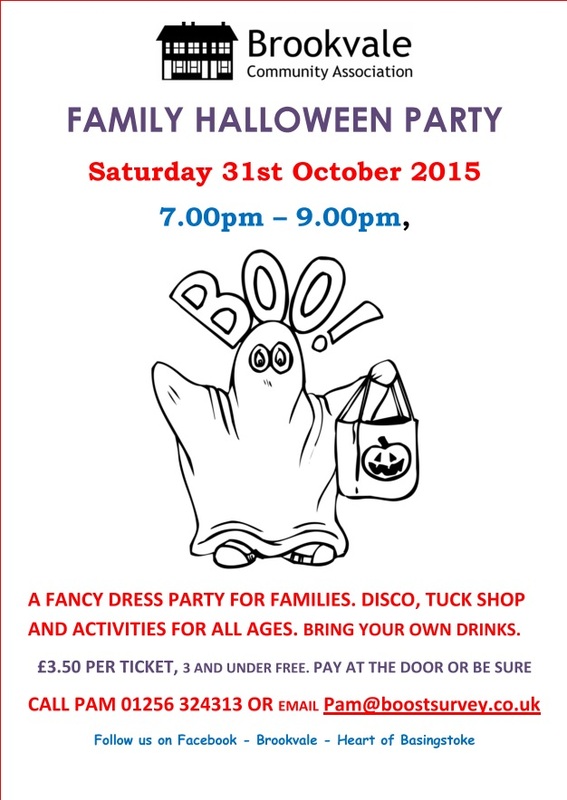 Active tots are hosting a Halloween event on Friday 30th October. You need to book in advance. Watercress Line are doing Wizard Weekend’s on Halloween weekend. The Vyne is hosting a Halloween Craft workshop on Saturday 31st October. Nelsons Diner Kingclere have a Children’s Halloween Special on Friday 30th October. 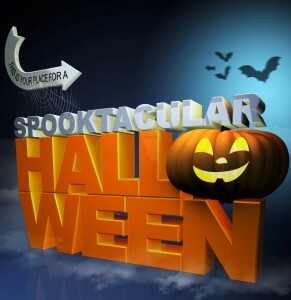 Festival Place is your place for a spooktacular Halloween this year with their two-day long Halloween extravaganza. 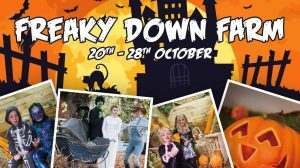 Taking place from Friday October 30th to Saturday October 31st, the fiendish family fun event will have a range of eerie entertainment, 12-6pm, to get customers set for the scary season. 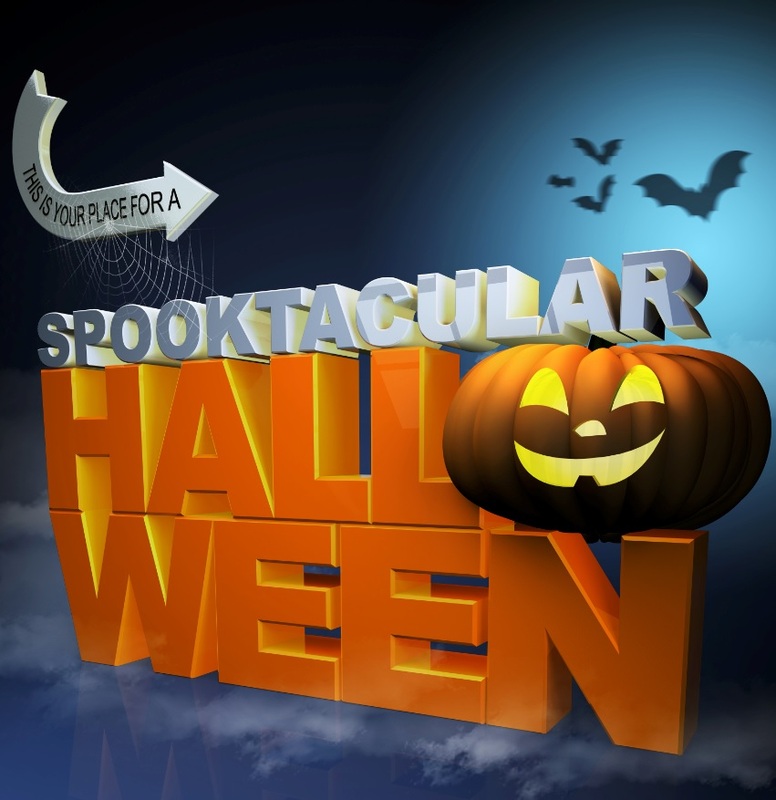 Porchester Square will be transformed into the centre’s very own Spooky Hollow, raising money for Ark Cancer Centre Charity, with scary face painting and a Shear Beauty nail art stand for kids – big kids welcome too! Customers will then have the chance to win a variety of great prizes from Festival Place’s retailers simply by taking a photo in the centre’s custom-built photo booth (including scary props!) and sharing it on social media with the hashtag #spookyfp. To keep up to date with details of these and other upcoming events at Festival Place visit www.festivalplace.co.uk or find them on Facebook, Twitter and Instagram.